We will be happy to welcome you on our booth to introduce the innovative range of our equipment and the interesting novelties. 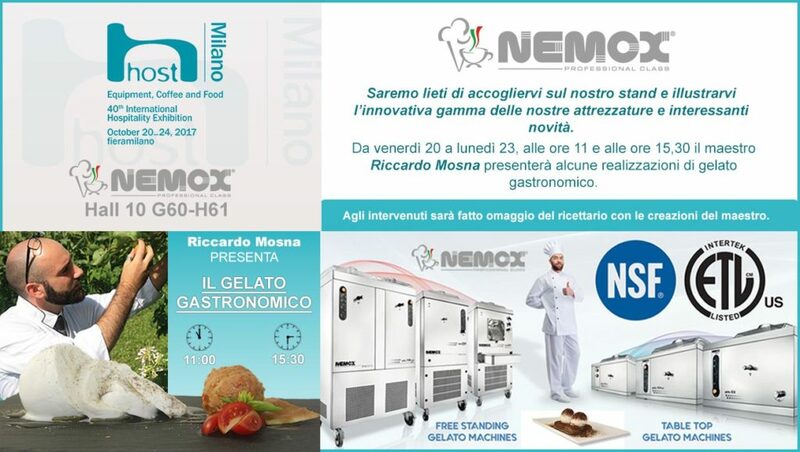 From Friday 20 to Monday 23rd, at 11am and 3:30 pm, Maestro Riccardo Mosna will presents some of his gastronomic gelato creations. Participants will receive a free booklet with such recipes. Abonnieren Sie unsere Profile in den folgenden sozialen Netzwerken.